Kenji Tomiki was born in the town of Kakunodate in Akita Prefecture. He was the eldest son of Shosuke and Tatsu Tomiki. When he was about 6 years old he began wielding a wooden sword. At the age of about 10, after entering the local primary school, he joined the town’s judo club. He met Daitoryu Aikijujitsu’s Morihei Ueshiba in the autumn. He was fascinated by Ueshiba’s techniques and joined his classes. 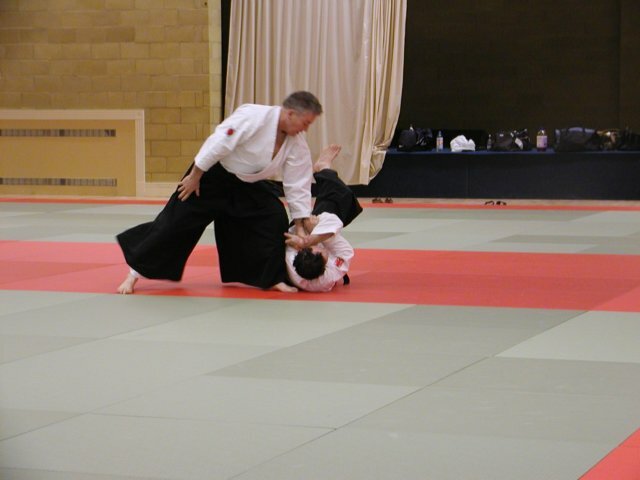 Later Ueshiba started his own style and changed the name to Aikido. Tomiki’s lifelong aikido training had begun.